Hayley Webster, Head of Holiday Illness at Paul Crowley & Co Solicitors recovered almost £15,000 in compensation for a family of four, following their holiday from hell at the Coral Sea Aqua World resort in Sharm El Shiekh, Egypt. The ‘B’ family were looking forward to spending their annual family holiday at the 4 star resort, relaxing in the sun, enjoying the entertainment and making the most of the resorts swimming pools and water slide amenities. The B family described how the hotel had been sold to them by tour operator TUI UK Ltd, as a perfect family resort, with a variety of great food and entertainment. As the family were soon to learn this was not to be, as their holiday quickly turned into the holiday from hell. Shortly after their arrival at the hotel, the family were greeted with a strong smell of sewage and witnessed a queue of guests at the hotel reception complaining about food poisoning and sickness bugs. Things were about to get worse as the B family were shown to their room, the room had an unpleasant odour and upon investigation, discovered a stained mattress, which was for the children to sleep on. The family had paid for an all-inclusive package and ate most of their meals at the hotel’s buffet restaurant – being extra careful to pick foods that they were used to eating and drinking bottled water only. Mrs B recalls “There were so many wasps landing on the food in the buffet that it was very off putting to dine in the restaurant and went on to say that she witnessed a child vomiting in the swimming pool”. After a few days at the resort, the whole family were struck down with a food poisoning bug, resulting in a visit the hotel doctor as they were suffering from severe sickness and diarrhoea. It was an extremely scary and unpleasant time for the family, the doctor placed Mrs B on an IV drip and gave injections to her two young children along with prescribed medication. “For anyone travelling abroad, falling ill can be a very traumatic experience, if you find yourself in this position call the Holiday Illness department at Paul Crowley & Co. Our experienced team will provide you with expert legal advice and representation in all aspects of holiday illness cases ensuring you receive the best possible outcome”. The B family had to return to the hotel doctor on numerous occasions during the remainder of their stay suffering the symptoms of food poisoning. Their return journey was equally as traumatic, as they had to endure the limited onboard bathroom facilities throughout the flight home. Following the return home, the B family contacted TUI UK Ltd to lodge a formal complaint. They received a reply via a generic email saying their complaint would be reviewed within 28 days. They heard no further from TUI in response to their ruined holiday, despite the family’s efforts to follow this up, they were unable to speak with a person from TUI and no resolution was secured. As a last resort the B family sought legal guidance and contacted Paul Crowley & Co solicitors. The Holiday Illness department evaluated the information and provided the B family with representation and expert legal advice, discussing with them a compensation claim for the illness the family had suffered, during their ill fated holiday. Given the strict rule in litigation TUI UK Ltd were unable to ignore the claim as they had done previously with the B family and therefore compensation totalling to almost £15,000 was secured by Paul Crowley & Co on behalf of all four family members. Paul Crowley & Co Solicitors successfully recovered £2,700 in compensation from tour operator TUI UK Ltd, for a Claimant after she was struck down with an illness during a family holiday. In September 2015, Miss H embarked on a 10 day family holiday to Mexico. It was her first trip to Mexico and she was excited at the prospect of visiting the local tourist sites and too spend time relaxing with her family. Miss H had purchased the all-inclusive package holiday staying at the Riu Palace Peninsula Hotel in Cancun, with TUI UK Ltd which included return flights and transfers to and from the hotel. Within a few days of her stay at the resort Miss H fell ill after eating undercooked chicken from a grill station at the hotel buffet restaurant. Miss H states “I had booked this specific hotel as it had a 5 star rating and was described as a luxury resort. I didn’t think that I would ever be at risk of food poisoning booking with TUI and staying at a highly rated hotel”. Miss H advised Paul Crowley & Co Solicitors that whilst the resort looked clean and well run there was clearly problems in the hotel as she had been served undercooked food. Miss H also instructs of a terrible sewage smell from around the resort and more disturbingly from the drains in her bathroom which she found to be peculiar. The symptoms of Miss H’s illness were initially so severe that she was unable to venture out of her hotel room and remained stranded unable to eat or drink without rushing to the toilet. “Although I was suffering with quite bad symptoms, I was too nervous to visit a hospital in another country and so I self-medicated” Miss H adds. Miss H reported the undercooked chicken to the waiters in the restaurant; however nothing was done about this. When her illness began to develop she reported this to the TUI holiday rep “I explained my symptoms to the holiday rep in the hotel and was advised to drink bottled water and too stay hydrated but nothing further was done to help me”. “When I returned home I was still not right for a few days, unable to eat as normal and still suffering with stomach pain. As I had returned to the UK I didn’t think there was anything further I could do about my complaint and therefore took no further action”. 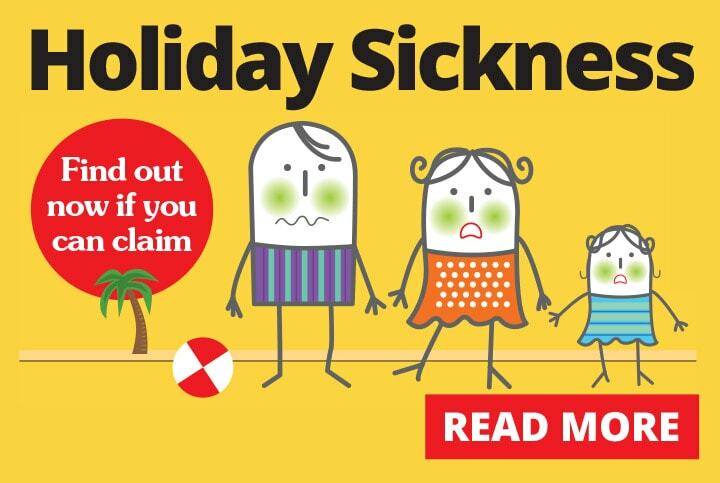 A few months following the holiday Miss H contacted Hayley Webster, Head of Holiday Illness at Paul Crowley & Co Solicitors to enquire about claiming for compensation. Miss H provided details about the holiday and started a formal claim for compensation. Miss H has stated from the beginning it was never about compensation, she was just frustrated that she had saved and waited a long time to visit Mexico with her family and it was completely ruined by the failings of the hotel and TUI UK Ltd. Miss H adds “We pay a lot of money for our annual family holiday and it is disappointing to be let down by a company such as TUI UK Ltd. The holiday was a complete disaster”. “I am really pleased with all the help Paul Crowley & Co provided throughout the claim. I was extremely nervous about bringing a claim for compensation especially attending Court. Hayley and the Holiday Illness team made me feel at ease and reassured me throughout the process. I am happy that I have now been compensated for the ruined holiday and would highly recommend Paul Crowley & Co Solicitors”. 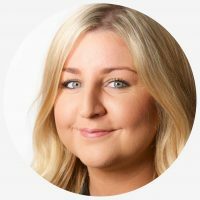 Miss H.
For a free no obligation chat with one of our Holiday Illness Solicitors call us now on 0151 264 7363 or email us.